Today I spent few hours in my favourite London museum: The Design Museum. I went to the main exhibition called Designer, Maker, User where they created a journey between these 3 actors explaining how they are linked together and all the innovations they brought up in the past 100 years in different industries like transportation, fashion, design and so on. During the time spent in the museum I was able to create a parallelism between the exhibition topic and the software world. I truly believe that we are creating some sort of art when we write code, if you want in an hidden way because our users can appreciate just the “visual” result more the journey behind it but in a certain way it’s what we are evaluating when we look at a statue or a painting right? Design is a process carried out by people, for people. At its heart is a dialogue between three key people: the designer, the maker and the user. Does it sound familiar? Have you ever thought how many times we are executing this process on a daily basis in our job? All the innovations we went trough in the past few years moving from procedural programming to functional programming, from MVC to Reactive architectures, from Monolith to Microservices architectures? Have you ever realised how important is the feedback loop (dialogue between designer, maker and user) in our job too? A feedback loop that is partially hidden behind techniques like unit testing, TDD, continuous integration or continuous delivery. I saw several times in my career people integrating or using these techniques without understanding why they should do it. The feedback loop is a well known technique in many Agile and Lean frameworks and you can learn about ita lot from different talks and books. If you are curious how to improve it I’d suggest to start reading a book on Kaizen, you will discover the feedback loop as cornerstone for your continuous improvement journey. Few steps later, I found a couple of subway maps: the first London Tube Map and the New York subway map. 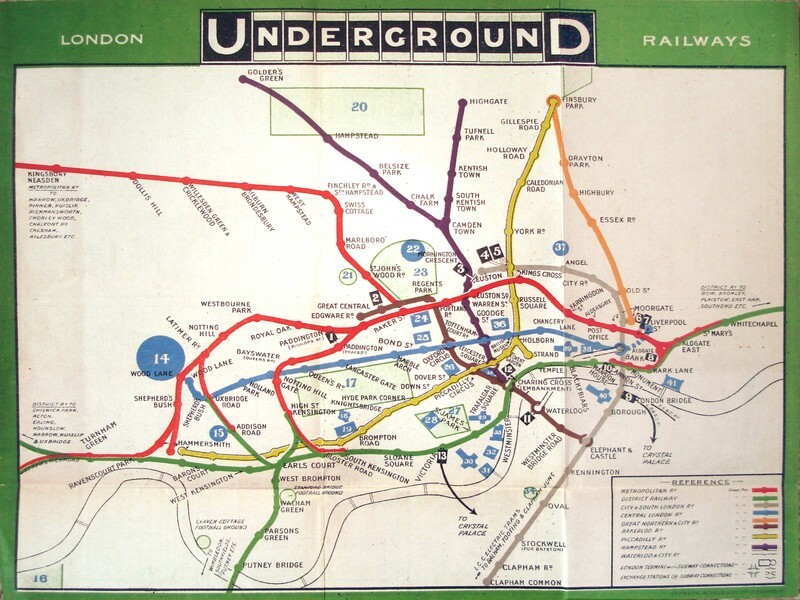 Both were created around 70s with the main intent of simplify how to travel across the city. Independently that these maps distort the reality not providing a perfect representation of the city, they become the standard for travelling for millions of users from all over the world. The takeaway here is the simplicity: simplicity in our code, simplicity in our tests, simplicity in our architectures, simplicity in our daily tasks. A technique that I learnt during my career is no matter how complex is a specific task or implementation, it can always be divided in smaller chunks of work and when you reach the smallest one, then you can start working on it. you are defining a list of steps to follow in order to create a more complex algorithm, therefore you are already thinking how to achieve the final solution in a systematic way. if you have a list of small tasks that you can achieve in minutes instead of hours your self awareness will grow minute by minute and at the end of the day you will see many things achieved instead “just a few” big tasks. 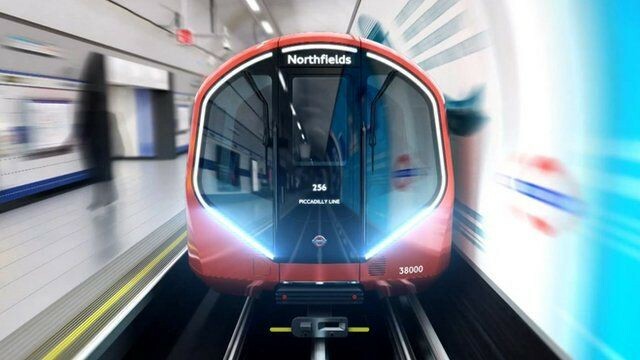 Another interesting video that I watched in the museum was related to the design of new Tube trains available in the future. In this case the main goal for the designers would be increasing the frequency and the capacity of each line maintaining the same infrastructure. A part from the current infrastructure (tunnel size for instance) the designers need to take in consideration how often these trains will be replaced. In fact each train will remain in use for 30–40 years and you can understand how many innovations and improvements the humans can do in this large amount of time. So they approached the problem taking in consideration the 2 big constrains (time and infrastructure) and they designed a larger train optimising every single centimetre inside each coach, creating bigger entrances for speeding up the access inside the coach but, more importantly, for accommodating the future innovations that could improve their trains, they have created modular part inside each coach that could be removed and exchange with something better in the future. That approach completely blew my mind, the modularisation of applications is a problem solved in many ways inside the software world. Encouraging loosely coupled relations over tight coupled ones, is a cornerstone in all the main frameworks. Think for a moment about the frontend framework evolution where, after React release, they moved all to a more component-oriented architecture. Think then to all the design patterns that are encouraging decoupling objects since the beginning of the software history… it’s incredible how easily we can retrieve these important concepts of software engineering in the real world. If we want to take a similar approach in an industry closer to the software one, let’s talk about the Fairphone 2 released in 2016. 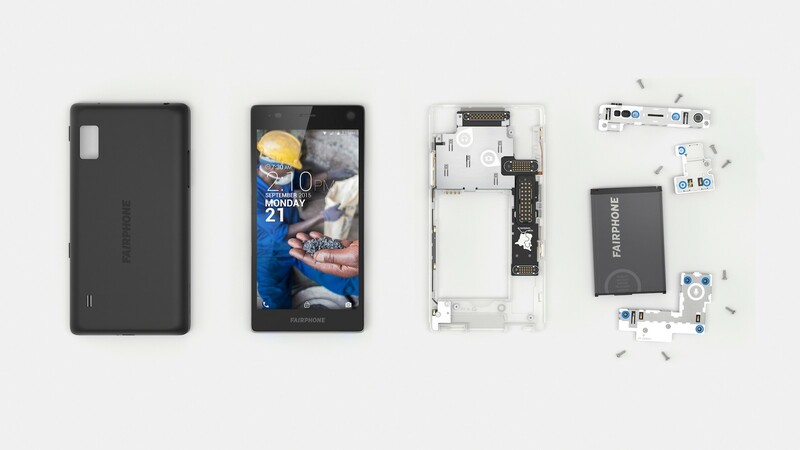 Fairphone 2 is a modular phone that will guarantee the longevity of your device changing different parts on demand instead the entire phone. The company made the modularisation a feature of the new device. Totally a different approach taken by Apple with the iPhone for instance where replacing a part of the phone is (almost) impossible. Every time you are thinking on a new or existing project, think about how to modularise it, how to break dependencies and improve your code. In particular how the different modules are going to “stick” together. Often we don’t spend much time on the “contracts” between systems, but it’s very important investing the right amount of time for creating the “perfect glue” for your application. Think how much we have done in the bast moving from a monolithic architecture to microservices where communication, monitoring and logging are way more important of the code is running inside a microservice for instance. We are often very busy working with new libraries, frameworks and languages; anyway sometimes we will need to stop for few hours or even a day, looking around us and understand that probably the next innovation in the software industry could be “borrowed” by existing tools already available in the real world. Today I’d love to share how to wrap a Node microservice or monolithic application inside a Docker container. I assume that you’ve already installed Docker, boot2docker and Node in your machine. If you don’t, please check the official Docker page and Node page and after picking your operating system follow the instructions. I’ve created a simple Node application with Hapi.js that once called returns the classic “hello world” message as response, obviously you can have a way more complex application as well, my main purpose here is talking about how to setup Docker with your Node.js application. In order to wrap your application inside a Docker container you need to create a Dockerfile, this file is basically defining the setup for the environment where your application will run. Checking the Docker containers currently available on Docker hub, you can see for Node the official container page that will allow you to pick the right Node version for your application. As you can see there are many different Node containers available, you can also use other solution like using ubuntu, fedora or centOS as base OS where your node application is going to run but I preferred to use the official one because my server side application doesn’t require any particular configuration. For this example we are going to use the 5-onbuild that basically is doing the “dirty job” for us, obviously this is a sample application but you can customise your container as you prefer. It’s fundamental to define inside the package.json all the dependencies and the start script otherwise the application is not going to work inside the container. It’s a best practice for any Dockerfile starting always with a FROM command and reusing the images that are already created by the community on Docker hub so remember when you want to try something different check always what’s available on Docker hub. Good so now let’s package our container and try if it works correctly. docker build -t <username>/<applicationName> . docker build -t lucamezzalira/docker-hapi . With this command we are running our container, therefore our Node application, mapping the port 8080 of the container to the port 49160 of the host. So now, because I’m working on Mac, I need to retrieve the boot2docker IP and check if in the port 49160 I’m able to see my hello world application up and running. The container ID is easily retrievable via docker ps (first column in the picture above). This command will return a JSON file with a lot of information related to the container. So now that I’ve the IP where my application is running and the related port I can type inside my bowser the address and see the result! Obviously you can also map that IP to etc/hosts file adding something more meaningful like boot2docker or whatever name your think is more appropriate!